Calvary Baptist Church, built in 1921, was the center of Oklahoma City’s civil rights movement. The church was the birthplace of the 1958 sit-in movement led by civil rights pioneer Clara Luper, where Luper led youths from the church in sit-in protests at segregated lunch counters in downtown. In 1960, an estimated 1,500 people attended a rally at the church to hear a speech from Martin Luther King, Jr. The church was added to the National Register of Historic Places in 1978, surviving while the surrounding neighborhood was razed for newer structures. The building was heavily damaged in the 1995 bombing of the Alfred P. Murrah Federal Building, and was repaired enough to keep the building occupied. 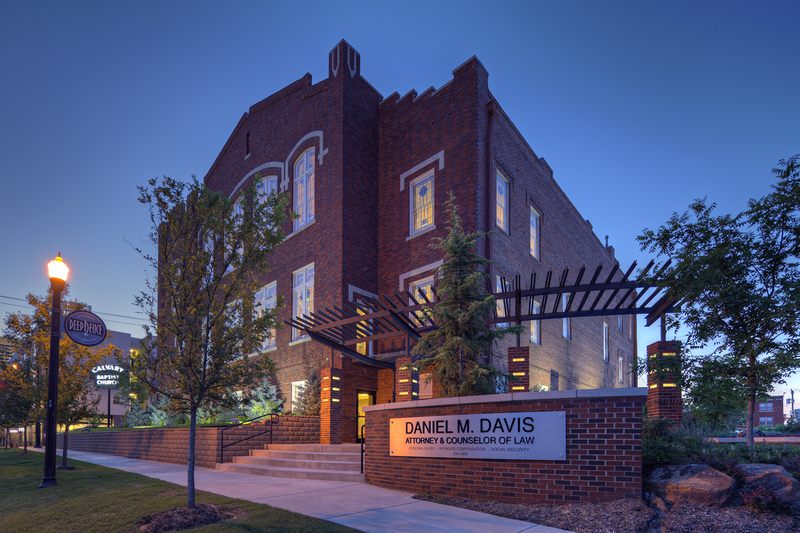 In 2012, an Oklahoma City law firm purchased the 17,500 square foot facility and began the transformation from church to law offices. As part of the preparation for the project, the owners and contractor reached out to religious leaders in the black community to ensure the plans were respectful of their heritage and the church’s history. 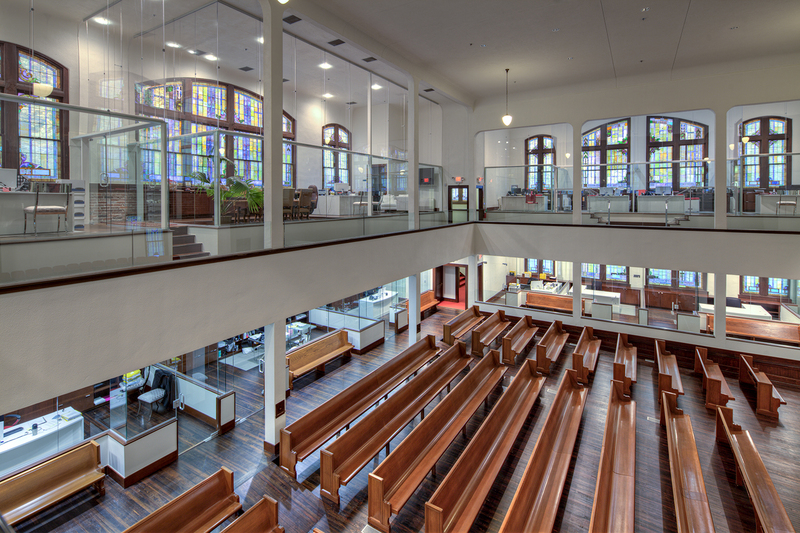 The historic sanctuary was preserved for community events and services while the rest of the building was rehabilitated into offices. New additions to the building include an entry plaza, reception area and conference rooms. New windows were placed over the original stained glass for protection and energy efficiency. Site modifications included renovations to the parking lot and the addition of an alley on the north side of the building.